An itch can occur anytime anywhere and leave you almost powerless against it. No matter how busy you may be with your chores, you just cannot resist scratching your skin and sometimes turning it into a bleeding wound the longer you scratch it. Itch (aka pruritus) is the unpleasant sensation which evokes the desire to scratch. It is also one of your body’s defense mechanisms against irritants. Read further to learn what might be causing the itching in your case and what symptoms you should look out for. Skin disorders: Localized itching is a prominent symptom of a number of skin disorders, such as eczema, psoriasis, scabies, hives, chicken pox or lice. However, some disorders would also cause other symptoms, such as a rash, red bumps or inflamed skin. Redness in the affected area. A handful of preventive measures can help you prevent future bouts of itchy skin. Frequently moisturizing throughout the day can help make the skin softer, smoother, and less likely to crack. Body moisturizers come in a few forms - ointments, creams, lotions, and oils. Avoid using heavily scented body wash or other products that can irritate the skin. 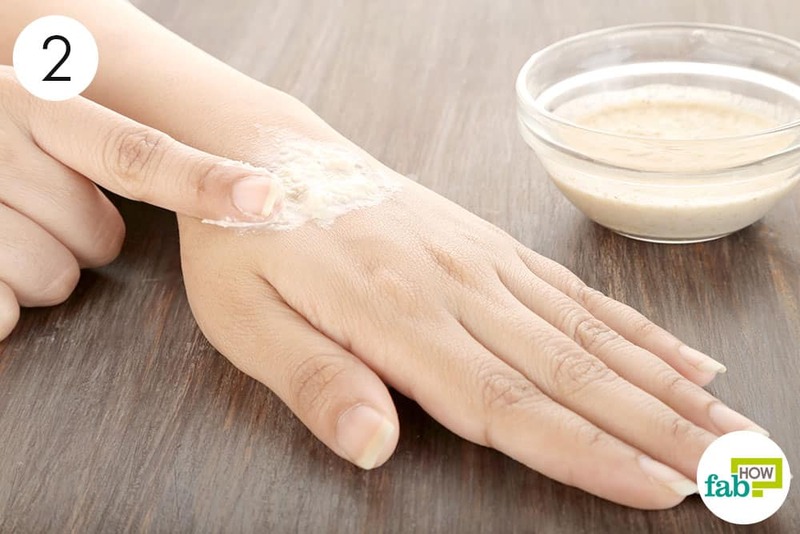 Opt for homemade skin care products with few ingredients. Use a humidifier at home to add moisture to the indoor air. Wear gloves or apply a special moisturizer throughout the day. Use sunscreen with SPF of 30 or greater when going out in the sun. Since itching can be due to a multitude of factors, identifying the underlying cause is of utmost importance to getting relief. It’s best to see a board-certified dermatologist to find out why your skin itches. There could be more than one reason for your itchy skin. Mild to moderate itching can be controlled using simple home remedies. However, if the itching does not resolve and/or increases after 3-5days, a visit to the dermatologist is required. Read on to learn the 11 popular home remedies for itchy skin. You can even make your own aloe vera gel to use in this remedy. Smear some fresh aloe vera gel all over the itchy skin. Let it sit for 5 to 10 minutes. Rinse it off with cool water. Apply a light, unscented moisturizer afterward. 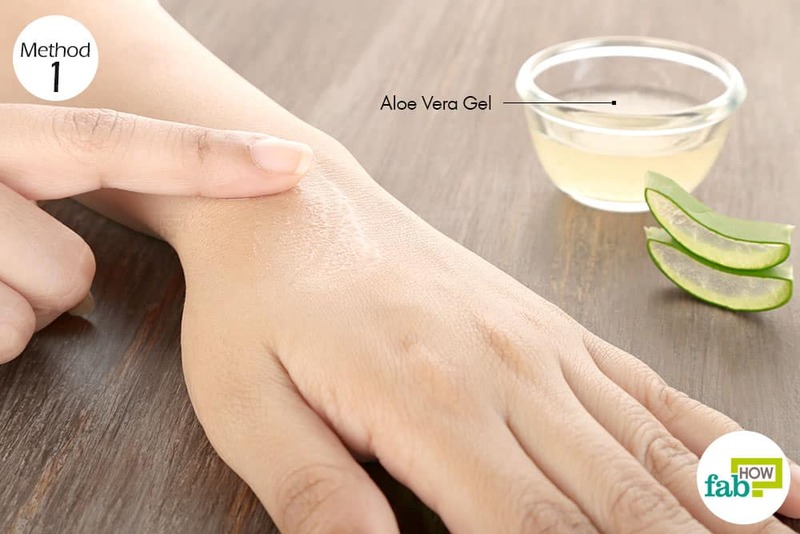 Aloe vera gel will provide immediate relief from itching, that is why it is considered to be one of the most effective home remedies for itchy skin. However, continue to apply it 3 times daily for 4 to 5 days to get complete relief from itchy skin. Tip: You can also mix equal quantities of aloe vera gel and green clay, and use the mixture as a poultice to relieve itchy skin. Oatmeal is an age-old remedy that calms inflamed skin and reduces itching. The polyphenols called avenanthramides present in oats have anti-inflammatory properties that curb the itching sensation. Oats also are good for treating skin allergies and other conditions, such as a poison ivy rash, eczema, chicken pox and more. Oatmeal can be used in a bath for controlling itching that affects large areas of the skin or as a poultice for a limited area. Put 1 tablespoon of ground oats in a bowl. Add enough water to make a thick paste. Let it sit for 1 to 2 minutes to allow the oats to fully soak up the water. Apply a thick layer of the paste on the affected skin. Let it sit for 20 minutes, then rinse it off with cool water. 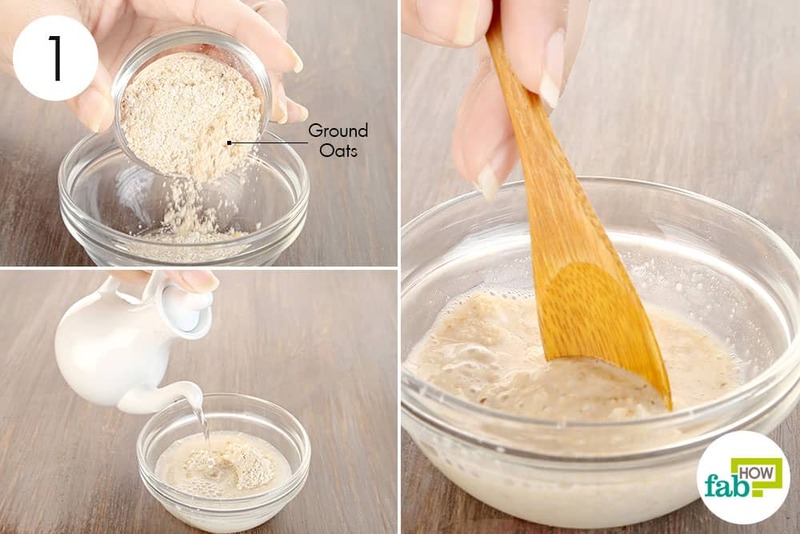 This oatmeal remedy will soothe your skin and reduce the itching after just one use. Reapply the paste 2 or 3 times daily for 4 to 5 days or until you get relief. The duration of recovery will depend on the cause of itching. To use it in a bath: Mix 2 cups of oatmeal in a bathtub filled with cool water. Soak in it for 20 minutes. Rinse off and pat dry. This inexpensive ingredient can be used in a number of ways for your skin and hair. In the case of itchy skin, baking soda works as a neutralizing agent on your skin’s natural acids and relieves the itching sensation. Add 1 tablespoon of water to 3 teaspoons of baking soda. Stir well to form a thick paste. Slather the paste on the itchy areas of your skin. Leave it on until the paste dries. Rinse off the residue with water and pat dry your skin. Repeat the remedy once daily for 4 to 5 days or until you get rid of the itchy skin. To use it in a bath: Mix 1 cup of baking soda into warm bathwater. Soak in it for 10 minutes. Rinse off with plain water and let your skin air-dry. 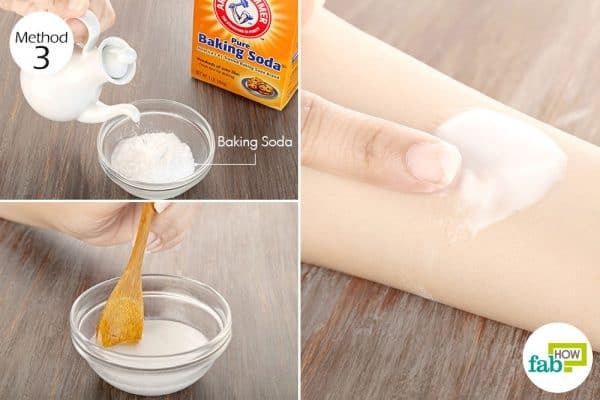 Caution: Do not use baking soda remedies if you have broken skin. Coconut oil has rightly been called a panacea for healthy skin and hair, due to its nourishing and antimicrobial properties. The healthy fatty acids present in the oil are easily absorbed into the skin and leave it extremely hydrated and supple. Coconut oil is extremely gentle on the skin and can be used by people of all ages and all skin types. It is especially effective if you have itchy skin due to dry and cold weather in the winter. 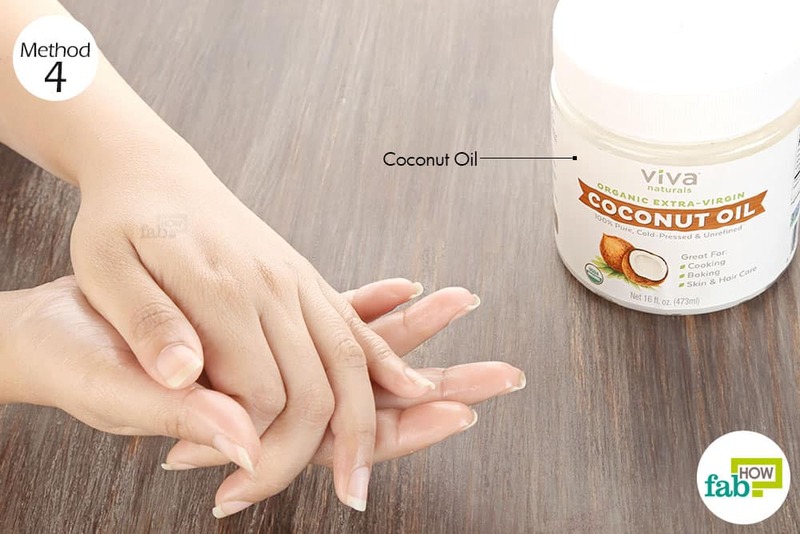 Rub extra-virgin coconut oil directly on the itchy area until it is completely absorbed into the skin. If the itching is due to dry winter weather, soak your body in tepid water for 10 minutes. Pat your skin dry and slather coconut oil all over your damp skin. Wear warm comfortable clothing and go off to a peaceful itch-free sleep. Apply coconut oil 3 times daily. Your skin condition will surely improve after the very first day. Continue using it for 1 week to get rid of the itchiness completely. You can either apply it directly on the affected skin if the itching is localized or add it to bathwater and soak in it to aid healing. Caution: If you have sensitive skin, consider diluting the apple cider vinegar before application. Also, do a patch test first to check your skin’s tolerance toward apple cider vinegar. Pour raw apple cider vinegar on a cotton ball. Dab the soaked cotton on the itchy skin. Remove the cotton and leave the vinegar on for 30 minutes to 1 hour. Rinse the area with lukewarm water and pat dry. Follow it with a light moisturizer. Repeat the application twice a day. 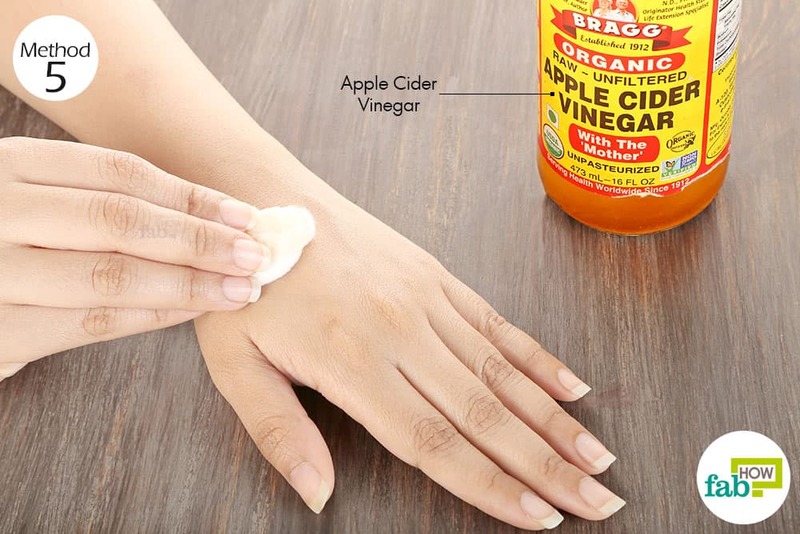 Apple cider vinegar should help you get rid of itchy skin within 1 week, depending on the severity. This golden liquid can also come to the rescue in case of severe itching. Manuka honey, in particular, has strong antibacterial properties due to the presence of a compound called methylglyoxal. Coat the itchy skin with Manuka honey. Let it sit for 2 to 3 hours, then rinse it off with lukewarm water. Repeat 2 times daily for 1 week to get rid of itchy skin. The temporary numbing effect of ice water can be extremely comforting when suffering from uncontrollable itching. 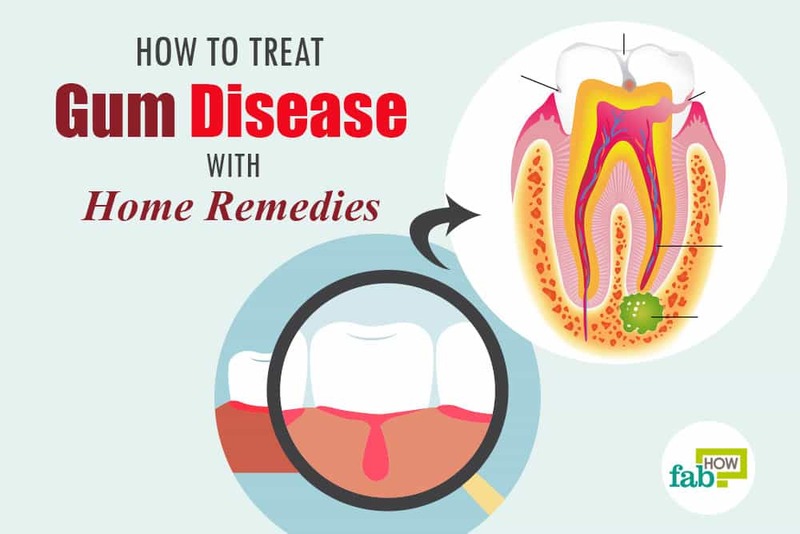 However, the effects can be short-lived so this remedy can be used in conjunction with any of the other remedies for more permanent relief. 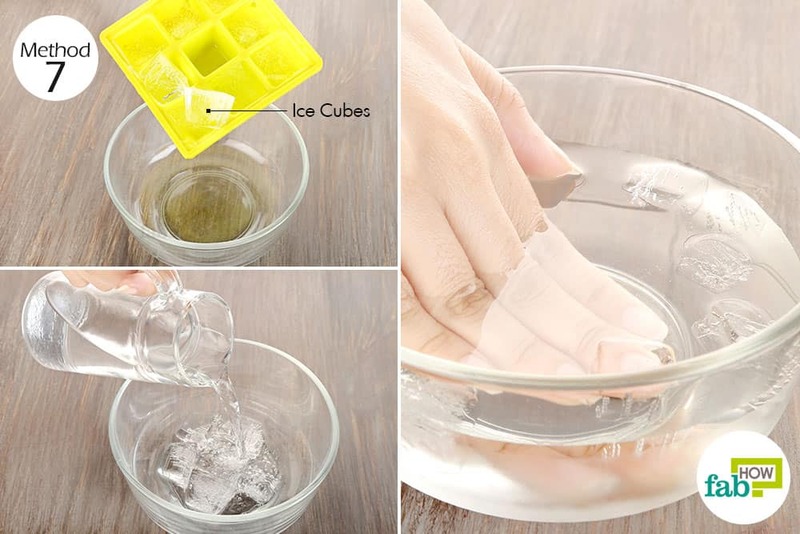 Drop a handful of ice cubes in a large bowl and add cold water. Submerge the itchy skin completely in the water. Hold it until the cold feels uncomfortable. Take a break for 1 minute, then dip it in again. Soak your skin for 15 to 20 minutes. If soaking is not feasible, you can use a cold compress to numb the itching area. Use ice water or a cold compress as needed to soothe itchy skin. That small tub of Vicks VapoRub can do more than relieve symptoms of a cold or the flu. The petroleum-based cream relieves itchy skin by providing a cooling effect due to the presence of menthol and eucalyptus oil; while the petrolatum helps seal in moisture in dry skin. Moreover, Vicks also has antifungal properties that may help kill any microbe causing the itching. 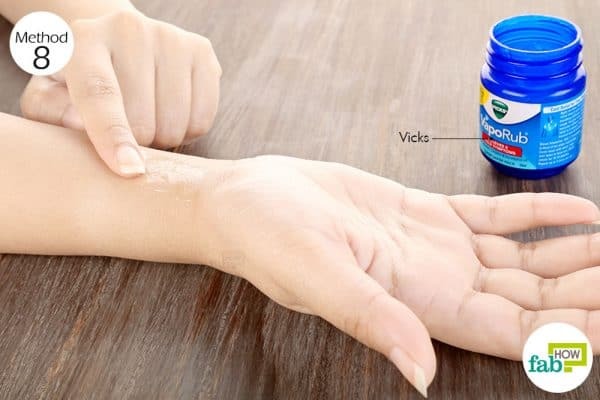 Gently rub Vicks on the itchy area and let it completely absorb into the skin. Soon you’ll feel the cooling sensation, and the itching will subside. Use Vicks as needed to provide fast relief. The lotion leaves a cooling effect on the skin, thus soothing irritated and itchy skin. You can also use it on your baby to treat diaper rash. Simply apply the calamine lotion on the itchy skin for a cooling effect. Use it as needed to alleviate itching. 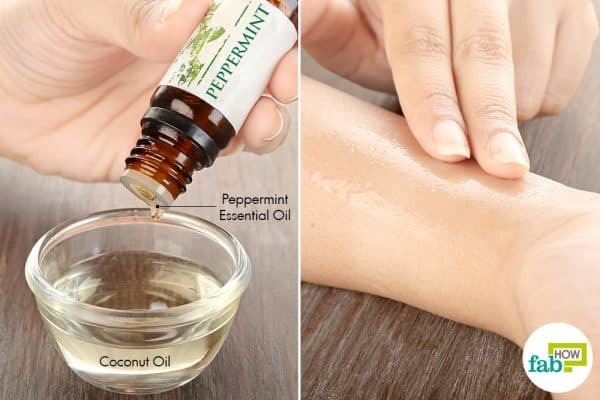 The cooling peppermint oil can be used to relieve itchy skin caused by dermatitis, owing to its anesthetic, anti-inflammatory, and antiseptic properties. You can either apply it directly on the skin or mix it in a carrier oil for easier absorption. Caution: Side effects of applying peppermint oil to the skin can include skin rashes and irritation. Peppermint oil should not be applied to the face or chest of infants or young children because serious side effects may occur if they inhale the menthol in the oil. 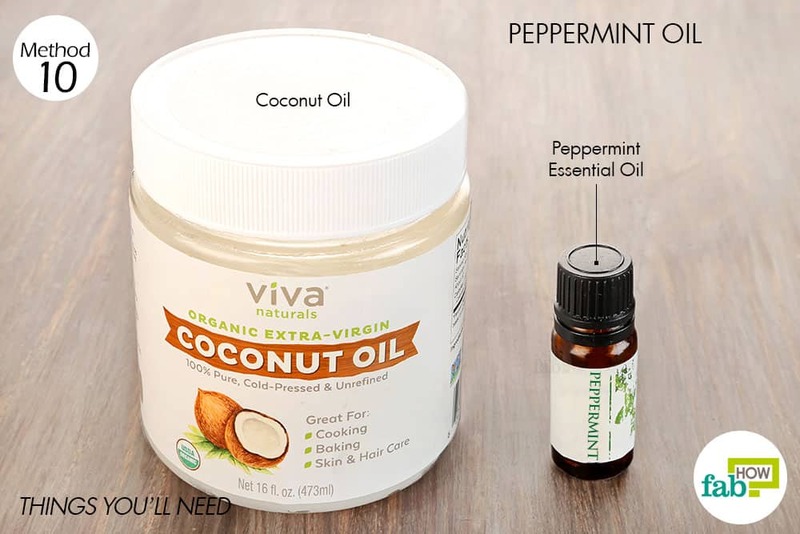 Mix 3 or 4 drops of peppermint oil in 1 tablespoon of coconut oil. Massage the oil blend over the irritated and itchy skin. Repeat twice daily until you get rid of the itchy skin. Tip: If you do not have peppermint oil, you can use tea tree essential oil to get rid of itchy skin. Tocopheryl acetate, a form of vitamin E, is a natural skin-conditioning agent and antioxidant often used in dermatological products such as skin creams. Pour a teaspoon of vitamin E oil to coconut or olive oil, whichever suits your skin. Mix and apply it to the affected area. 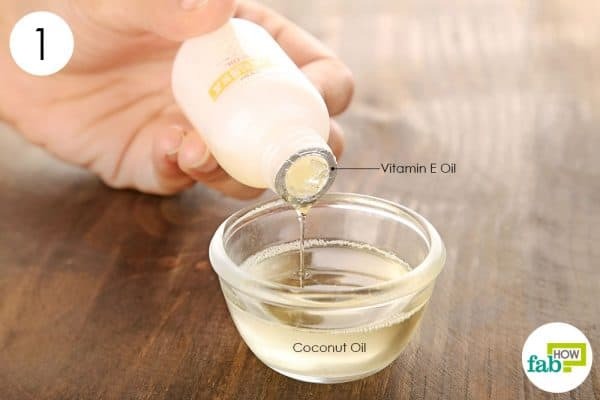 Regular application of vitamin E oil, mixed in coconut or olive oil, can help keep the skin healthy and reduce the chance of itching. Witch Hazel is another beneficial topical oil. Simply dabbing witch hazel on the itchy area can also provide immediate relief. The liquid is antibacterial and has a cooling effect on the skin. If you do not have peppermint oil, you can use tea tree essential oil to get rid of itchy skin. Cassano N, Tessari G, Vena GA, Girolomoni G. Chronic Pruritus in the Absence of Specific Skin Disease. SpringerLink. https://link.springer.com/article/10.2165/11317620-000000000-00000. Published August 21, 2012. Cunningham FG, al. et. Dermatological Disorders | Williams Obstetrics, 24edition. The McGraw-Hill Companies. https://accessmedicine.mhmedical.com/content.aspx?sectionid=59789207. Published 2014. Carstens E, Akiyama T. Itch: Mechanisms and Treatment. CRC Press. https://www.crcpress.com/Itch-Mechanisms-and-Treatment/Carstens-Akiyama/p/book/9781466505438. Published February 25, 2014. Elsaie LT, Mohsen AME, Ibrahim IM, Mohey-Eddin MH, Elsaie ML. The effectiveness of topical peppermint oil on symptomatic treatment of ch | CCID. Journal of Pain Research. https://www.dovepress.com/effectiveness-of-topical-peppermint-oil-on-symptomatic-treatment-of-ch-peer-reviewed-article-CCID. Published October 11, 2016. Evangelista MT, Abad-Casintahan F, Lopez-Villafuerte L. The effect of topical virgin coconut oil on SCORAD index, transepidermal water loss, and skin capacitance in mild to moderate pediatric atopic dermatitis: a randomized, double-blind, clinical trial. International Journal of Dermatology. https://www.ncbi.nlm.nih.gov/pubmed/24320105. Published January 2014. Yosipovitch G, Patel TS. Chapter 103. Pathophysiology and Clinical Aspects of Pruritus. Pathophysiology and Clinical Aspects of Pruritus. https://accessmedicine.mhmedical.com/content.aspx?bookid=392&Sectionid=41138815. Johnston CS, Gaas CA. Vinegar: Medicinal Uses and Antiglycemic Effect. MedGenMed. https://www.ncbi.nlm.nih.gov/pmc/articles/PMC1785201/?_escaped_fragment_=po=59.3750. Published 2006. Kraft JN, Lynde CW. Moisturizers: What They Are and a Practical Approach to Product Selection. Skin Therapy Letter. https://www.skintherapyletter.com/eczema/moisturizers-selection/. Published September 27, 2018. Mak MF, Li W, Mahadev A. Calamine lotion to reduce skin irritation in children with cast immobilization. Journal of Orthopedic Surgery. https://www.ncbi.nlm.nih.gov/pubmed/24014789. Published August 2013. PANIN GIORGIO, STRUMIA RENATA, URSINI FULVIO. Topical α-Tocopherol Acetate in the Bulk Phase: Eight ... Annals of the New York Academy of Science. http://onlinelibrary.wiley.com/doi/10.1196/annals.1331.069/abstract. Published January 12, 2006. Quandt, SA, Sandberg, JC, Grzywacz, JG, Altizer, KP, Arcury, TA. Home Remedy Use Among African American and White Older Adults. HHS Public Access. https://www.ncbi.nlm.nih.gov/pmc/articles/PMC4631220/. Published June 2015. Reynertson KA, Garay M, Nebus J, et al. Anti-inflammatory activities of colloidal oatmeal (Avena sativa) contribute to the effectiveness of oats in treatment of itch associated with dry, irritated skin. Journal of Drugs in Dermatology. https://www.ncbi.nlm.nih.gov/pubmed/25607907. Published January 2015. Schwartz J, Friedman AJ. Exogenous Factors in Skin Barrier Repair. Journal of drugs in dermatology: JDD. https://www.ncbi.nlm.nih.gov/pubmed/28095538. Published November 1, 2016. Shi K, Lio PA. Alternative Treatments for Atopic Dermatitis: An Update. American Journal of Clinical Dermatology. https://www.ncbi.nlm.nih.gov/pubmed/30511123. Published December 3, 2018. Thank you a lot with the information as it is so much highly appreciated by me. That is so sweet of you to say. Stay tuned to FabHow for more such informative content.